What's better than a conference championship? A Super Bowl win. While somewhat old fashioned, many fans celebrate victory with a commemorative team portrait. 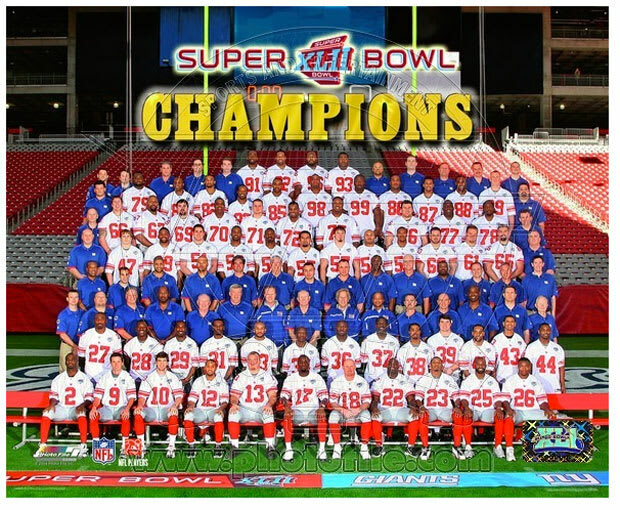 Giant fans can prepare for 2012 by toasting, once again, a victory in 2008.